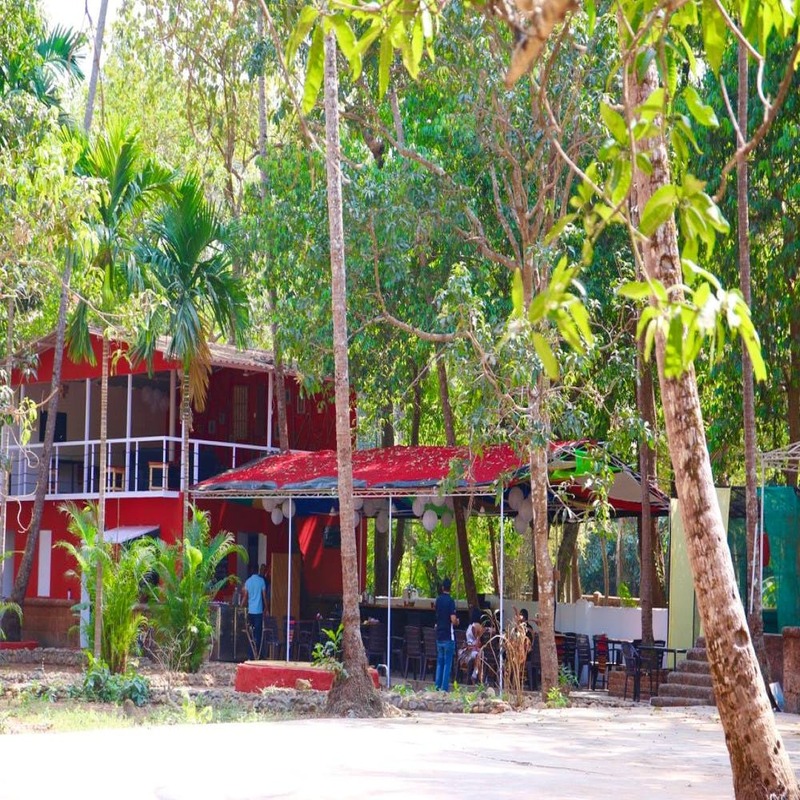 What Is This Cute Pizzeria Doing Serving Beer & Happiness In A Goan Village? Cafe Dona is a tiny pizzeria in Aldona doing burgers, pizzas, fries and all things nice. Set in an idyllic village, this one is a low-key hangout spot where the neighbours drop by for a leisurely bite. If you love a scenic drive and unpretentious comfort food, this might be right up your alley. Dona is the culinary embodiment of Malgudi Days. Everything about this place, right from its location to the warm, comforting pizzas and craft beer, spells susegad. The bar counter has a beautiful field for a backdrop and there’s ample space to amble about. There are also hammocks and a lot of open ground to keep things easy breezy. Cafe chiefs, Priyak and Mudit, go back a long time. Friends-turned-business-partners, these two have created Dona with a lot of love and fun. No, there aren’t fancy lights or cool seating but the all-pervading warmth of a pepperoni pizza is hard to miss. The owner duo believes in creative food that speaks right to the heart. This is why, everything from their ice cream to the sundried tomatoes and burger buns, is made in-house. We hear their veggie burger with a hung curd dressing and stir fried veggies is a rather cool spin on the average aloo burger. Our favourites from the menu include the Pepperoni or bacon bomb pizza for the carnivores and the margherita or roasted peppers and garlic pizza for the vegetarians. Other weaknesses? The chilli cheese garlic calzone and orange almond cake. Okay wait, they’ve also got Blue Tokai coffee and are soon going to start a reverse bar stock exchange. So on some days, happy hours could mean crazy deals on the least popular liquor that evening. Not like they really need to, for the alcohol is pretty affordable even otherwise. Think Feni for INR 20 and gin for INR 80. Nothing really but if you’re obsessive about cleanliness and class, the homemade, rustic vibe might not sit well with you... A wine glass costs only INR 280 here. They’re shut on Tuesdays and rope in their siesta between 3:30 and 7pm every day.